National Chiao Tung University Library announced 3D printing service which is the first public service in universities in Taiwan. I designed an easy and elegant website for users to upload their 3D models to our central server. 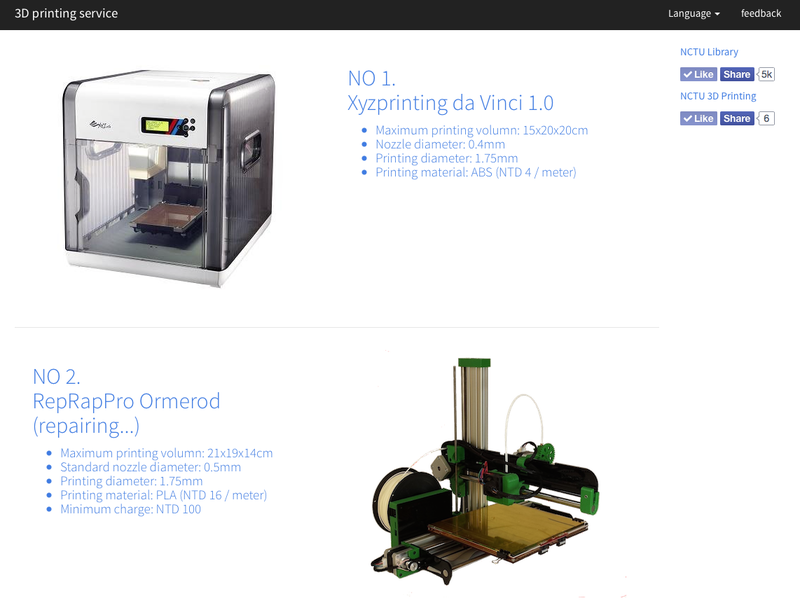 In this website, users could know some hints about 3D model design and printing skills as well.